Unless otherwise stated, Innovative Advertising and/or its licensors own the intellectual property rights of the website and material on the website. Subject to the license below, all these intellectual property rights are reserved. You must not conduct any systematic or automated data collection activities (including without limitation scraping, data mining, data extraction and data harvesting) on or in relation to this website without Innovative Advertising’s express written consent. You must not use this website for any purposes related to marketing without Innovative Advertising’s express written consent. In these terms and conditions, “your user content” means material (including without limitation: text, images, audio material, video material and audio-visual material) that you submit to this website, for whatever purpose. You grant to Innovative Advertising a worldwide, irrevocable, non-exclusive, royalty-free license to use, reproduce, adapt, publish, translate and distribute your user content in any existing or future media. You also grant to Innovative Advertising the right to sub-license these rights, and the right to bring an action for infringement of these rights. Your user content must not be illegal or unlawful, must not infringe any third party's legal rights, and must not be capable of giving rise to legal action whether against you or Innovative Advertising or a third party (in each case under any applicable law). Innovative Advertising reserves the right to edit or remove any material submitted to this website, or stored on Innovative Advertising’s servers, or hosted or published upon this website. This website is provided “as is” without any representations or warranties, express or implied. Innovative Advertising makes no representations or warranties in relation to this website or the information and materials provided on this website. Nothing on this website constitutes, or is meant to constitute, an endorsement of any kind. matter which it would be illegal or unlawful for Innovative Advertising to exclude or limit, or to attempt or purport to exclude or limit, its liability. You accept that, as a limited liability entity, Innovative Advertising has an interest in limiting the personal liability of its officers and employees. You agree that you will not bring any claim personally against Innovative Advertising’s officers or employees in respect of any losses you suffer in connection with the website. Without prejudice to the foregoing paragraph, you agree that the limitations of warranties and liability set out in this website disclaimer will protect Innovative Advertising’s officers, employees, agents, subsidiaries, successors, assigns and sub-contractors as well as Innovative Advertising. You hereby indemnify Innovative Advertising and undertake to keep Innovative Advertising indemnified against any losses, damages, costs, liabilities and expenses (including without limitation legal expenses and any amounts paid by Innovative Advertising to a third party in settlement of a claim or dispute on the advice of Innovative Advertising’s legal advisers) incurred or suffered by Innovative Advertising arising out of any breach by you of any provision of these terms and conditions, or arising out of any claim that you have breached any provision of these terms and conditions. Without prejudice to Innovative Advertising’s other rights under these terms and conditions, if you breach these terms and conditions in any way, Innovative Advertising may take such action as Innovative Advertising deems appropriate to deal with the breach, including suspending your access to the website, prohibiting you from accessing the website, blocking computers using your IP address from accessing the website, contacting your internet service provider to request that they block your access to the website and/or bringing court proceedings against you. Innovative Advertising may revise these terms and conditions from time-to-time. Revised terms and conditions will apply to the use of this website from the date of the publication of the revised terms and conditions on this website. Please check this page regularly to ensure you are familiar with the current version. Innovative Advertising may transfer, sub-contract or otherwise deal with Innovative Advertising’s rights and/or obligations under these terms and conditions without notifying you or obtaining your consent. These terms and conditions constitute the entire agreement between you and Innovative Advertising in relation to your use of this website, and supersede all previous agreements in respect of your use of this website. Sponsor is Innovative Advertising, LLC. The Sweepstakes begins January 06, 2017 at 3:00 p.m. US Central Time and ends February 21, 2017 at 11:59 p.m. US Central Time. Information on how to enter and prizes form part of these Sweepstakes Rules. By submitting an entry, each entrant agrees to these Sweepstakes Rules. Each entrant warrants that his or her entry complies with all requirements set out in the Sweepstakes Rules. Sweepstakes is open only to US residents who are 18 years and older and who live in the state of Louisiana. Entrants are not required to submit to any sales presentation or promotional program or to purchase any goods or services to enter this sweepstakes. Only one submission is allowed per king cake per member per day. Multiple logins to your member portal in one week will not result in multiple Sweepstakes entries for that week’s drawing. No more than one prize may be awarded to any singular household participating in the sweepstakes throughout the duration of the Sweepstakes. The winner each week will be an entrant randomly selected by Innovative Advertising, LLC. Each week’s winner will be announced through an email. 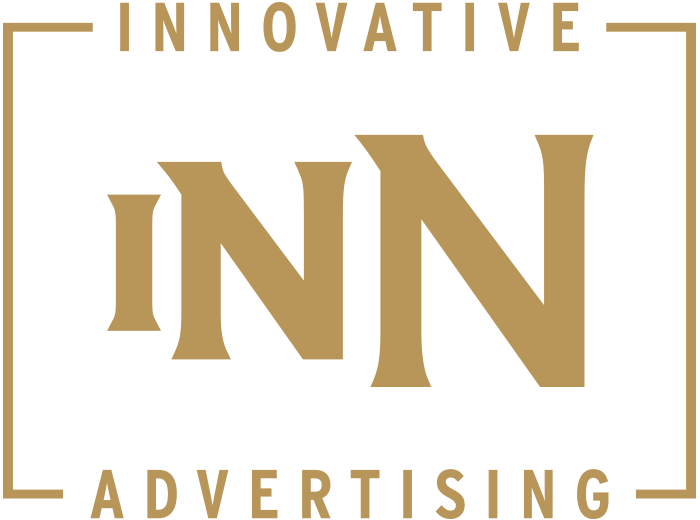 Once selected, winners will have 48 hours to contact Innovative Advertising, LLC to claim their prize. Winners will receive the advertised prize for that week. No prize transfer, assignment or substitution by winner is permitted. If a prize (or part of a prize) is unavailable, the Sponsor, at its discretion, reserves the right to substitute the original prize (or that part of the prize) with an alternative prize, equal to the monetary value and/or specification, unless to do so would be prohibited by law. NONCOMPLIANCE OR RETURN OF PRIZE NOTIFICATION AS UNDELIVERABLE, WHETHER BY REGULAR MAIL OR BY EMAIL, MAY RESULT IN DISQUALIFICATION AND SELECTION OF AN ALTERNATE POTENTIAL WINNER. By entering the Sweepstakes, all entrants grant an irrevocable, perpetual, worldwide non-exclusive license to the Sponsor, to reproduce, distribute, display and create derivative works of the entries (along with a name credit) in connection with the Sweepstakes and promotion of the Sweepstakes, in any media now or hereafter known, including, but not limited to: television, print, outdoor, internet. Entrants consent to the Sponsor doing or omitting to do any act that would otherwise infringe the entrant’s “moral rights” in their entries. Display or publication of any entry on the Sponsor’s website does not indicate the entrant will be selected as a winner. The Sponsor will not be required to pay any additional consideration or seek any additional approval in connection with such use. Additionally, by entering, each entrant grants to the Sponsor the unrestricted right to use all statements made in connection with the Sweepstakes, and pictures or likenesses of Sweepstakes entrants, or to choose not to do so, at the sole discretion of the Sponsor. The Sponsor will not be required to pay any consideration or seek any approval in connection with such use. By entering this Sweepstakes, all entrants agree to release, discharge and hold harmless Innovative Advertising, LLC and their employees from any claims, losses and damages including attorneys fees arising out of their participation in this Sweepstakes or any Sweepstakes-related activities. The Sponsor can disqualify an entrant for any reason and the acceptance and use, misuse or possession of any prize awarded hereunder. The Sponsor assumes no responsibility for any error, omission, interruption, deletion, defect, or delay in operation or transmission; communications line failure; theft or destruction of or unauthorized access to Sweepstakes entry. The Sponsor is not responsible for any problems with or technical malfunction of any telephone network or lines, computer online systems, servers or providers, computer equipment, software, online browser or social media platform or application. Failure on account of technical problems or traffic congestion on the Internet or at any website, human errors of any kind, or any combination thereof, including any injury or damage to entrants' or any other persons' computers or mobile devices related to or resulting from participation in this Sweepstakes. THIS SWEEPSTAKES IS VOID WHERE PROHIBITED. Entrants agree that this Sweepstakes shall be subject to and governed by the laws of the State of Louisiana, and the forum for any dispute shall be St. Tammany Parish, State of Louisiana, United States of America. To the extent permitted by law, the right to litigate, to seek injunctive relief or to make any other recourse to judicial or any other procedure in case of disputes or claims resulting from or in connection with this Sweepstakes are hereby excluded and any entrant expressly waives any and all such rights. Entries are void if the entries are illegible, incomplete, damaged, irregular, altered, counterfeit, produced in error or obtained through fraud or theft. By entering, entrants also agree (a) to be bound by these Sweepstakes Rules; (b) that the randomized winner selection process is binding with respect to all matters relating to the Sweepstakes. All federal, state and local taxes, fees and surcharges and taxes (whether foreign or domestic, and including income, sales, and import taxes) on prizes are the sole responsibility of the prize winners. In the event that the selected winner(s) of any prize is/are ineligible, cannot be traced or does/do not respond within two (2) days to a winner notification as required by the rules above, or refuses the prize, the prize will be forfeited and Sponsor, in its sole discretion, may choose whether to award the prize to another entrant. The Sponsor reserves the right to verify the validity and originality of any entry and/or entrant (including an entrant's identity and address) and to disqualify any entrant who submits an entry that is not in accordance with these Sweepstakes Rules or tampers with the entry process. Failure by the Sponsor to enforce any of its rights at any stage does not constitute a waiver of those rights. Sponsor has the right to cancel or suspend Sweepstakes at any time for any reason or no reason without notice to entrants or others. Entrants agree that personal data, especially name, may be processed, shared, and otherwise used for the purposes and within the context of the Sweepstakes and any other purposes outlined in these rules. The data may also be used by the Sponsor in order to verify the participant's identity, postal address and telephone number or to otherwise verify the participant's eligibility to participate in the Sweepstakes. The data may be used for future sponsor correspondence. Personal data will be used by Sponsor and its affiliates exclusively for the purposes stated herein.